Lane Peak, a photo by The Bacher Family on Flickr. 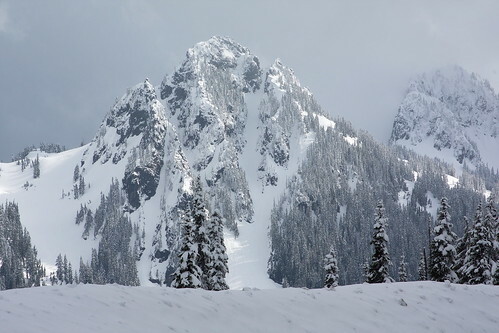 In my opinion, the rugged Tatoosh Range, south across the parking lot from Paradise, is at least as beautiful as the singular volcano to the north. This is especially true in winter, when the sun comes out over the fresh snow. The light on Lane Peak is gorgeous.